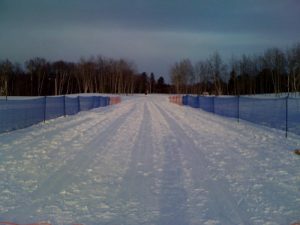 NMU is hosting the CCSA Championships at Al Quaal in Ishpeming, MI. There is plenty of snow and the stadium is ready to go. See you tomorrow morning. This entry was posted on Friday, February 12th, 2010 and is filed under News. You can follow any responses to this entry through RSS 2.0. You can leave a response, or trackback from your own site.